I love Golden-crowned Kinglets for their yellow striped head and for their tiny size. But did you ever notice the feet? 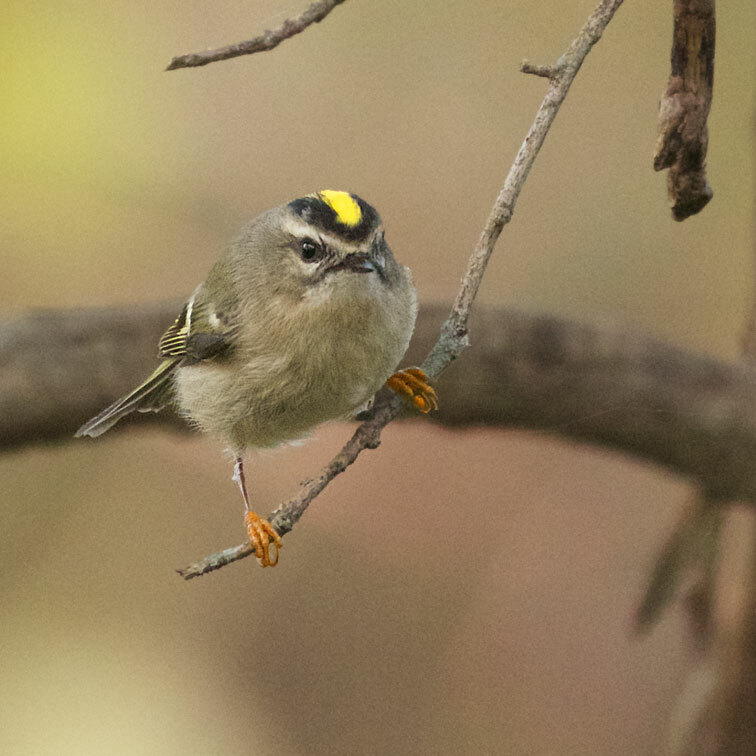 This kinglet has golden toes! How kingly! Or perhaps I should say, how kinglety. Gets a budding birder going. 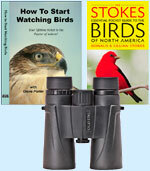 It includes a good binocular (Eagle Optics Shrike). 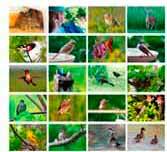 And a bird book that will fit in a pocket, covering the commonly seen birds of North America. And Diane Porter's DVD, How to Start Watching Birds.